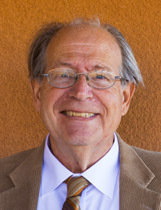 Howard J. Fisher taught in St. John’s College’s distinctive liberal arts program from 1965 to 2002 in Annapolis, Maryland and from 2002 to 2007 in Santa Fe, New Mexico. In 2007 he became tutor emeritus at St. John’s. He received his B.A. in philosophy and physics from the University of Rochester in 1965. During his undergraduate years he also worked as a technician in the cyclotron laboratories of both the University of Rochester and Harvard University. It was an especially exciting period at the Harvard laboratory, as the instrument there — which was no longer powerful enough for meaningful high-energy physics research — was being adapted for medical use in the treatment of brain tumors. From 1972 to 1976 Fisher took part in an archaeoastronomy research project in Chaco Canyon, New Mexico. This was at a time when archaeoastronomy was only beginning to gain a presence in the American southwest and, indeed, did not yet even enjoy a generally accepted name. During that period, his interest in the technical and intellectual questions of living with the desert sky developed into a lasting love for New Mexico air, sunsets and mountains. Howard has taken an amateur’s pleasure in several musical instruments over the years, including the clarinet, the recorder, a brief flirtation with the bassoon, and three memorable seasons as accordionist with the Baltimore Klezmer Orchestra. Other activities have included ham radio, theatrical sound and lighting, and concert and recital audio recording. Although St. John’s College has been his permanent academic home, he has enjoyed opportunities to teach at other institutions, including Anne Arundel Community College in Maryland and Western New England University’s College of Engineering in Massachusetts. In 1981–82 he was Visiting Senior Member at Linacre College, Oxford. He has written on Faraday, Maxwell, and Galileo, and has presented talks at universities in the United States, Canada, and Great Britain. Howard has been an associate editor with Green Lion Press since 2002.